Naim Label review | What Hi-Fi? Like its high-end hi-fi competitor Linn, Naim Audio couldn’t help but fancy setting up a record label of its own when it launched the Naim CDS CD player in 1991. Naim apparently found commercially recorded CDs weren’t good enough to make the most out of the CDS’s capabilities. So it started to make its own, and Naim Label began. The focus later expanded into digital downloads and now from the nearly 200 albums available to download on its site, around half are available in high-resolution, from 24-bit/44.1kHz to 24-bit/192kHz, with the rest in CD quality. That’s about half the size of Linn’s current catalogue, but it’s growing all the time. Naim Label is currently split into Naim Classical, Naim Jazz and Naim Edge, which brings a slightly more contemporary influence into the Naim Label catalogue – one Naim Edge artist, Eska, was recently shortlisted for the Mercury Music Prize Album of the Year. 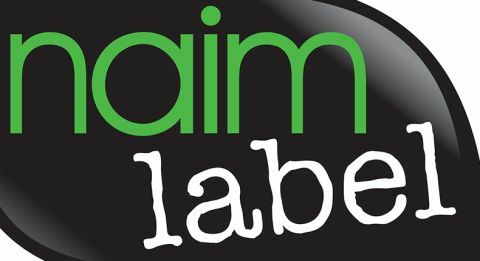 Like Linn, the majority of recordings you’ll find on the Naim Label website are from Naim Label artists, with the odd exception. For example, Imogen Heap has allowed the label to offer her 2014 album Sparks through its site, as has David Lynch with his The Big Dream album. Browsing the site for albums to download isn’t quite as straightforward as we’d like, but once you’re in the black and green world of Naim Label, everything is pretty self explanatory, if not very inspiring. The main homepage is busy with small, uninviting text and a handful of suggested hi-res albums that will take you through to their download pages if clicked. There are separate tabs for the three subdivisions of Naim Label, but every page is the same without any tailored suggestions, which seems like a missed opportunity to showcase the best talent from each. Dive into an album page though and Naim has got things fairly well organised. To the right of the page, there’s a tracklisting complete with previews, and options for digital downloads directly in a choice of WAV, FLAC or ALAC. There are also a few related album suggestions as well. There’s a small panel with information and notes on the album, plus related news and reviews. However, instead of serving up lashings of information like Linn, you just get a snippet that you can expand if you wish. It’s a small thing but it helps keep the service tidy and accessible. Tracks are available to download individually, with full album prices certainly appearing to be a touch more reasonable than Linn. Most that we noticed came in between £13 for 24-bit/44.1kHz and £17 for higher, with some as low as £7 – or even free with promotions. We used Naim’s Download Manager to download Sabina’s new album Toujours, Max Raptor’s Mother’s Ruin and Imogen Heap’s Sparks and are impressed with how good they sound, joining Linn at the top of the services we’ve heard in terms of sound quality. Tracks are fiercely detailed, with superb timing and excellent instrumental organisation. The title track on Max Raptor’s Mother’s Ruin album is a lively rock track that goes big on drums, cymbals and intricate guitar rifts, and they each maintain their own identity within the track while still working together perfectly. By contrast, Imogen Heap’s stripped back The Listening Chair is expressive and focused, with real drive behind the bouncing vocals and a strong handle on dynamics. How far Naim Label can quench your hi-res needs depends entirely on what you’re looking for. This is a specialist service, concentrating almost entirely on Naim artists, save for a few guest appearances. Its catalogue is slightly smaller than its competitor Linn Records, but then it’s also more eclectic, so it could attract a wider audience for that alone. The website could still do with a bit of work to be as usable or as useful as 7Digital, Primephonic or Technics Tracks, and while there’s no doubt it’s a good service for a specific audience, a bigger catalogue really is needed in order for us to give it the full five stars.